Home Uncategorized I Am Not a Chair! I am a character in a book! My friend and member of my critique group, Janee Trasler, loooves a good picture book as much as I do. When we fall for a book, we FALL HARD. 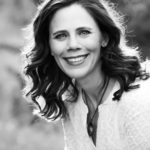 I recently asked Janee if she’d like to provide a guest post and share a book recommendation here at Picture Book Builders. Lucky for us, she said yes! Thanks to Tammi for asking me to write a guest post. When she asked, she’d probably already guessed I would choose I Am Not A Chair! by Ross Burach to talk about. Ten minutes after I got the book, I called her and insisted on a Skype story time, so she could read it, too. And trust me, Tammi is not a big Skype fan. So far, I haven’t met a Ross Burach book I haven’t liked, but this one is my absolute favorite. It’s hilarious. 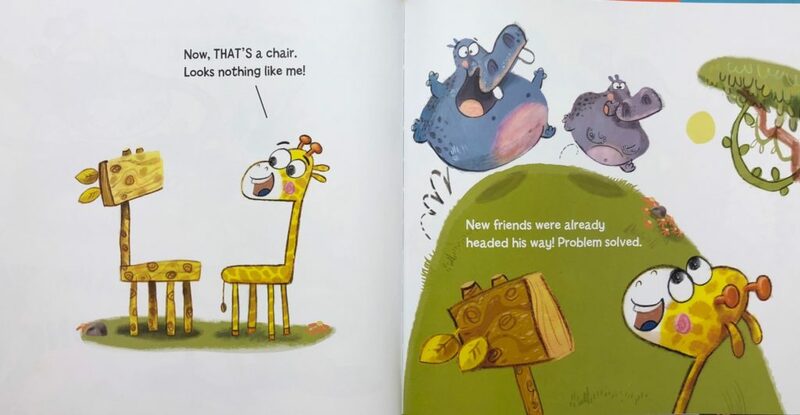 Just the situation alone is a funny bone tickler – a giraffe who keeps getting mistaken for a chair.The illustrations and page turns are packed with laugh out loud moments. In fact, the illustrations do a lot of the storytelling here, and I love that because I think it often makes the adult reader the straight man and allows the listeners to actively get the joke on their own. The theme is very relatable. Okay, so most kids have probably not been misidentified as furniture, but the feeling of being overlooked (especially when you’re the new kid) and afraid to speak up will totally resonate with the audience. As will the reason our main character finally speaks up – he has to PEE! I love how the ending not only includes a circular punch line, but also kind of excuses the new animal friends for their earlier behavior as Giraffe ends up making the same mistake. I Am Not A Chair! 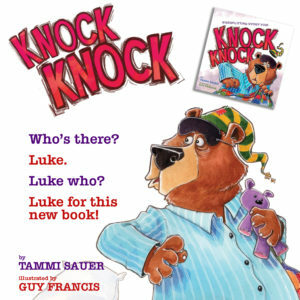 is a great book for the new kid, the shy kid who is struggling to make new friends, or anyone who wants a giggle or two. Just make sure you check your chair before you sit down to read. 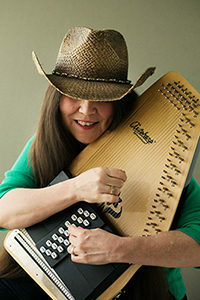 Side note #1: If you haven’t yet read my funny and informative interview with Janee back in 2014, do yourself a favor and click HERE. Janee writes and illustrates funny books for kids. Including the popular CHICKIES board book series with HarperCollins. Whether she’s writing books, drawing pictures, singing songs, or putting on puppet shows, she’s all about the laughs. Visit her HERE to share a giggle. WINNER: Congratulations, Joana Pastro! You won your very own copy of KNOCK KNOCK. Janee Trasler, Ross Burach, Tammi Sauer. Bookmark. It’s great, isn’t it?! Check out Ross’ other books if you haven’t already! My puppies definitely think I’m a chair! Oh, I love funny picture books! Looks cute! Thanks! 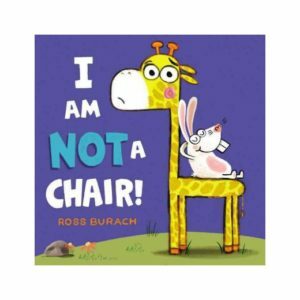 I just read Ross’s *other* giraffe book, and have his newest (A TRUCK FULL OF DUCKS) on hold at the library. Very fun. Thanks, Janee & Tammi! LOVE A Truck Full of Ducks too!! Thanks for introducing me to another keeper. Looks like lots of wordplay. I love it! Sounds hilarious. I’ll have to look this up. Thanks! Yes! check it out. Be prepared for laughs! How giggle worthy! My favorite kind of PB to read aloud.